Learning a percussion instrument can be a very rewarding pursuit for you and your child. Many kids learn to play music better on percussion instruments because they tend to be more simple and less fragile. Whereas something like learning the ukulele for a kid might be frustrating or difficult due to the discipline needed to form cords and sit still, a percussion instrument like the bongos will have kids moving around and getting their energy out! Great for all kids – whether your kid has a lot of energy and really wants to thrash on some drums or if they’re more mild and like to play lightly, the bongos will work for them. The bongos can also adjust to any child’s skill level. 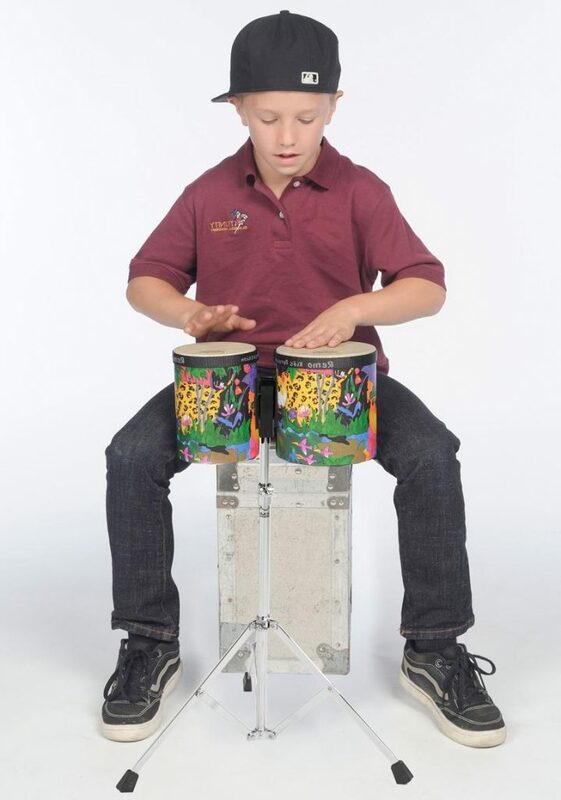 Whether they’re very young and are just experiencing making music for the first time or a bit older and working on arranging beats into a rhythm, the bongos are perfect for kids. Extremely Durable – More than other musical instruments, the bongos are very durable. They don’t require numerous strings to keep in tune or much precision for starters, so not much can go wrong. Perfect for learning coordination and rhythm – these are key attributes to the successful development of children in a variety of areas even beyond music. Learning to coordinate both hands and keep a rhythm will greatly advance their development.